New Kayak, Fishing and Mountain Bike business opens in Foster! 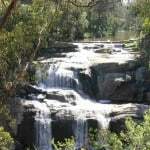 See Agnes Falls in its full glory – if you dare! Proposed rural zone changes – have your say! Tidal River area of Wilsons Prom to re-open September 23!